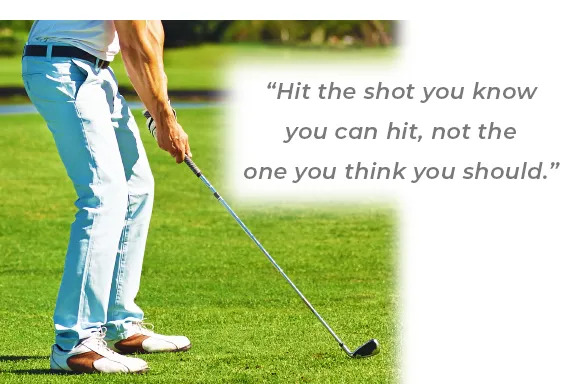 Great advice for when you’re on the golf course in competition. But for most golfers, the implication of that is “most longer clubs stay in the bag forever”. and sometimes even mid-irons, so how do you apply this advice? Do most of these clubs remain unused in the bag forever? By increasing the length of club that you can hit consistently from the fairway, you change your golf game. Escape from difficult positions becomes easier. Setting up opportunity becomes easier. Both of those lead to a better playing experience.